Although not widely read by general society, academic journals have always been given respect and usually are attributed to subjects that are considered to be worthy of reward and attention. Scientific journals tend to rule this field, but in 1969, The Black Scholar set a new precedent for what they coined as “black studies” by creating a space where venerated African American scholars and lecturers could finally be documented and celebrated. Until Robert Chrisman and Nathan Hare’s founding of the journal, society had yet to acknowledge these studies as truly academic, pushing black studies out of what university curriculums deemed to be acceptable for teaching in their institutions. This all changed when San Francisco, a city always known for its accepting of progressive ideals, saw a series of strikes held by students and faculty at San Francisco State College from December of 1968 until March of 1969 that were prompted by the college’s firing of the Black Panther Party’s Minister of Education George Mason. This was seen as a decisive move on the college’s part to silence those interests in exploring the black education and studies movement. Chrisman and Hare were both faculty members involved in the strife on campus; speaking out against the underrepresentation of student’s academic interests and the lack of support these students were receiving from administration, their voiced opinions led to their termination from their well-respected faculty positions. 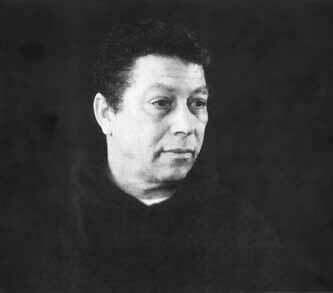 Chrisman was not only a protestor at the time, but he was also a poet who centered his works on the achievements of the black power movement and the misfortune his people have faced throughout history. Hare, a boxer and a leader of the college’s later instituted Black Studies Program, was heavily involved in the university and also in efforts to promote the deterioration of the “Ivory Tower,” which is the idea that only certain individuals in the population can participate in academia. The premise behind the journal was to finally start documenting the lecturers and notable speakers that were coming to the college, but soon after being founded, The Black Scholar became a place for debate and analysis of hotbed issues of the time. Speakers, such as Maya Angelou, Muhammed Ali, and many others ranging from political figures to celebrities, were featured in articles fashioned by the journal, giving it notability to the greater public, thus reaching a wider audience with its academic intentions. Hot topics, like “Blackness in the Family”, are explored in the journal, making it a place to find not only academic analysis but also to find news and other relevant cultural happenings. The nonprofit journal is now based out of the University of Washington’s English Department in Seattle, Washington after being in San Francisco for the majority of its lifetime. Now, the journal can be easily accessed online, which is something unique to this “academic” journal. The almost colloquial voice of its writers was something Chrisman and Hare pride themselves in maintaining and expecting of their writers; by doing this, Hare is achieving the downfall of the Ivory Tower, and Chrisman is achieving his desire to reach a larger population to inform the masses of the struggles common to the black community. Articles are typically shorter than other standard academic entries, but they still hit home the ideas and analysis of the topic, providing easier-to-read material with the same caliber of educational benefit. By creating a space to bring together all of these ideas and debates, The Black Scholar is celebrating and promoting the achievements of the members of its community that might not be acknowledged otherwise. It is the first movement of its kind to demand the respect and acknowledgement of relevance that African American studies wasn’t seeing in its own sphere; universities were busy shoving “black studies” to the side, saying it wasn’t worthy of academic acceptance, even though it was a main interest of its students and should have (being a study of culture and history) been considered a core tenant of a liberal arts education, which prides itself on the humanist premise that education is a tool for learning ethics and good citizenship. This rallying point for the black community brought countless groups together and still does today by providing a safe space for people to engage with ideas and other members of the group at large. The educational spotlight this journal placed on the African Americans during the Black Power Movement propelled many icons to gain the respect they deserved in the population at large, making many members relevant in every day conversation that probably would have otherwise been lost in the oppression and sheer rejection of black studies as a venerable subject. By being an entity of society since its commencement, The Black Scholar can be seen as a usable platform to not only create idea but to engage with opinions and issues of the past, making it easy still to promote the knowledge of subjects presented by the journal. Even so, the processual nature of the journal is more than capitalized on by the continual additions to the journal; by its nature, a collective journal like this is something forever to be engaged with and changed with the ideas and articles of new writers. The Black Scholar is an entity of society that, in my opinion, will always be consulted as any other academic journal might be, but it is the only one that sees the general population as its source for articles. This creates the universal and particular meanings behind the journal; with the ability to contribute/interact either directly or indirectly, each individual can form their own connection to the works, but as a whole, the general community can see this as a place to come together (in an existential sense). With the ability not only to archive history but also to create it, The Black Scholar is a working place of memory that prides itself on the ability to reach large audiences to demand rightful attention of African American achievements in academia and culture. “Contact Us.” The Black Scholar. N.p., n.d. Web. 19 Apr. 2017. “Africanity.” The Black Scholar. N.p., n.d. Web. 19 Apr. 2017. Chrisman, Laura. “The Black Scholar.” Taylor and Francis Online. N.p., n.d. Web. 19 Apr. 2017. <http://www.tandfonline.com/doi/pdf/10.5816/blackscholar.43.3.0005>. 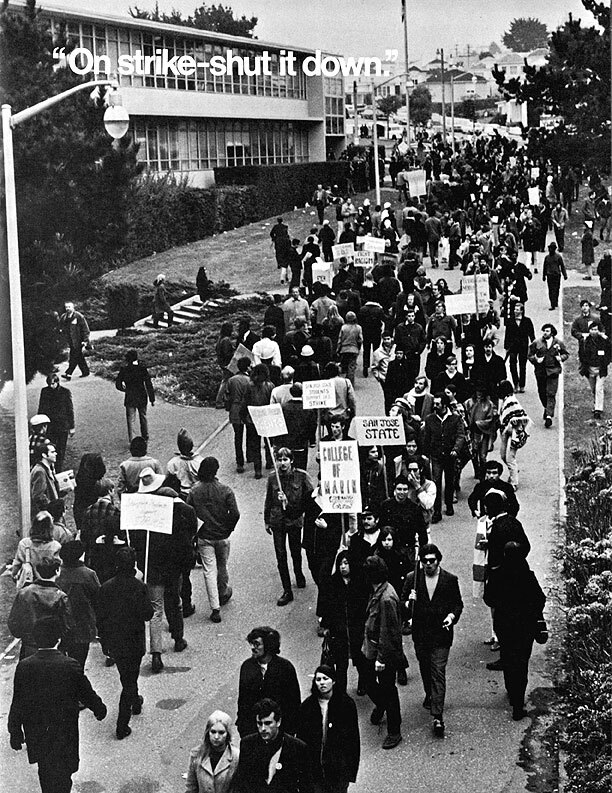 “FoundSF.” STRIKE!… Concerning the 1968-69 Strike at San Francisco State College – FoundSF. N.p., n.d. Web. 19 Apr. 2017. “Hare, Nathan 1934–.” Contemporary Black Biography. Encyclopedia.com, n.d. Web. 19 Apr. 2017.